So it's London Fashion Week daaaahling and this special occasion only means one thing... dress to impress! Us frugal fanatics at Promotional Codes have sourced some corker of a deals for all you fashion junkies so you can look good without breaking the bank or winding your bank manager up! Check out all our Fashion Week inspired discount codes to use and abuse on the checkout page of your fave online store. Looking that good doesn't mean paying full whack on designer labels... it just means you may have to be financially creative! 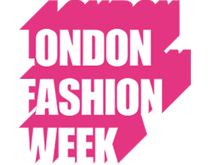 So jump on the London Fashion Week promo codes and remember... it's all about the confidence!